Rexel’s commitment to operating a first class fleet delivering on safety, efficiency and sustainability has been further recognised with the award of more accreditation. We have recently received the Silver accreditation with FORS – the Fleet Operator Recognition Scheme, making us the 1,000th company to obtain this. 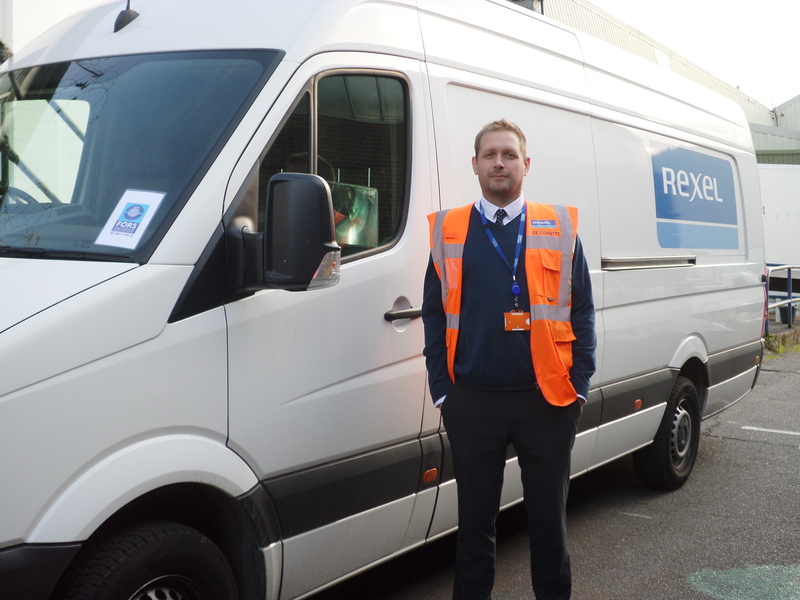 The accreditation applies to Rexel’s Dagenham location, which is one of our 17 Distribution Centres, hubs and larger locations across the UK. We first joined the scheme in 2014 and since have obtained FORS Bronze status at nine of its hub locations, although FORS best practice principles have been adopted throughout all our sites. Our objective remains to achieve FORS accreditation across our entire transport network, via which we operate 519 own-account vans and trucks, with approximately 600 drivers, distributing to the electrical trade. All our drivers utilise FORS training courses and eLearning modules, to boost the three key areas – safety, efficiency and sustainability. In the last 18-months, we have seen a 6.4% improvement in fuel economy, a reduction of 629,008kg in CO2 emissions, a 20% reduction in insurance costs and a reduction in penalty charge notices. “We are very proud to be a member of FORS,” said Head of Supply Chain Operations, Paul Rotchford. “We are a delivered business which accounts for upwards of 75% of our sales. As such, we take great pride in our transport operations being progressive. With no formal transport-related training before 2012, we have since achieved exemplary levels of operation as a direct result of driver and manager training – delivered in-house by a qualified Learning & Development team, and in partnership with FORS. The company has also developed its own in-house training courses, based on the FORS Standard. As an own-account operator, our rolling two-year training programme is at a level and intensity more associated with some of the UK’s leading, dedicated logistics companies.